My wife found this recipe a few years ago and she makes it every month or so. We had it yesterday morning and I though I'd share. The cool thing about this is you pour the batter into the pie plate and then bake it in the oven. The batter grows and forms a bowl. Excellent Griz - many thanks for sharing! Please pass on our thanks to Mrs Griz ! That looks really good !! Thanks for sharing !! I will be trying this one for sure. Thank you and your wife for sharing.. Yummy! Yum! 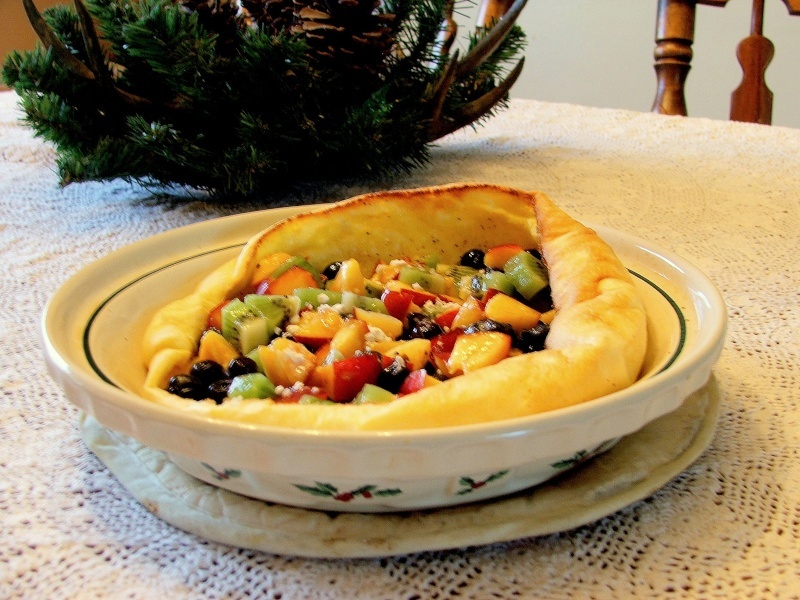 I only had puff pancakes once...and I loved it...now you've given me the recipe with the idea of fruit!